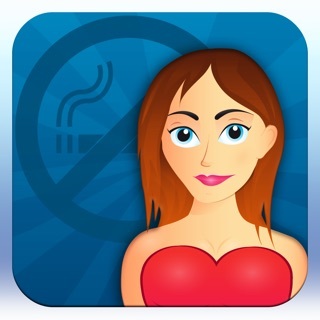 Probably the most comprehensive Quit Smoking App in the AppStore will support you to give up smoking and become free. More than 100 individually calculated motivation messages will help you to persevere. 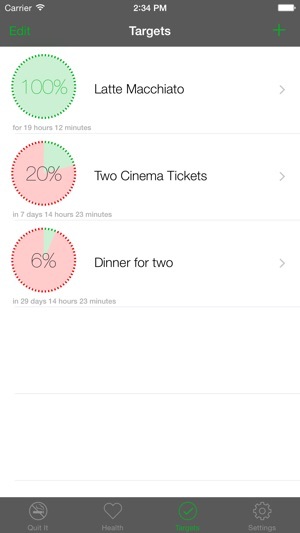 New: Set your own goals with the new milestone feature. 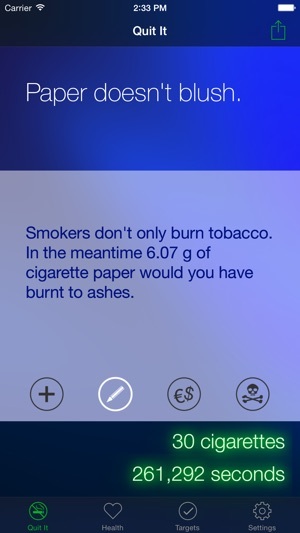 "It has never been so motivating to quit smoking. 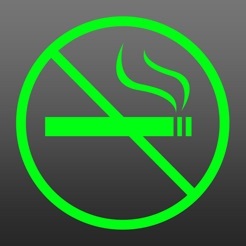 Quit Smoking Pro is my personal coach to become smokefree!" I had a pulmonary embolism with a mass of 30-40 blood clots. I was advised if I wanted to live I had to stop smoking. I have smoked since I was 21, which has been about 16 yrs. I've quit before but never longer than 6 months. So far I'm almost to 4 months. This time has been the most difficult b/c I don't feel like I have a choice this time. You'd think my health would make quitting easier but it doesn't. 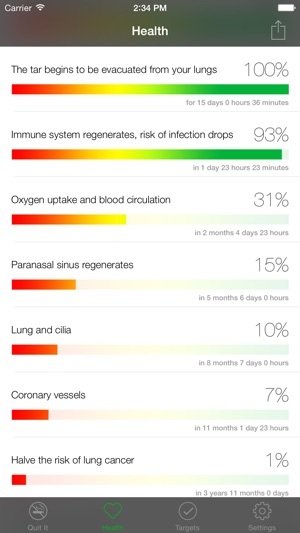 When the craving gets really bad I come to this app and look at all the benefits I've personally achieved since I quit. Seeing all my milestones, how much money I've saved, and what else I could be spending that money on really helps to put it back into perspective. It was never nicotine I craved. Smoking was my coping skill to distance myself from everything else. I don't enjoy facing things head on but I know it's the best thing for me. I love this app. 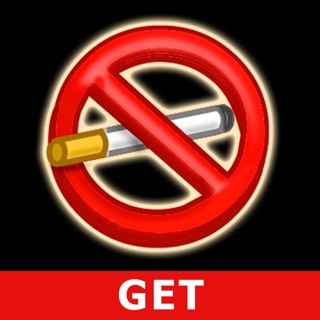 I quit smoking on February 1, 2014 and from time to time, it's a nice reminder of a personal major accomplishment in my life. My only suggestion is, since I live in the United States, I wish they would provide an option of changing the metric system to standard. 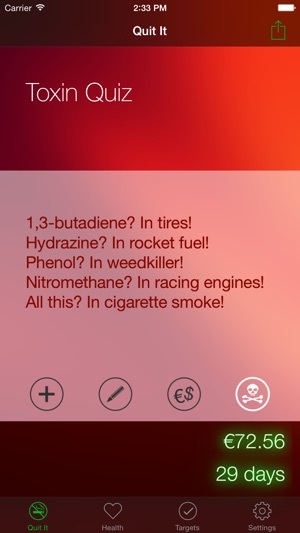 Overall, five start app. Thank you for creating such a fantastic app. 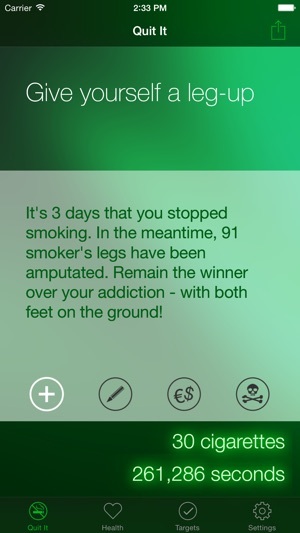 Quit smoking now – Quit smoking Buddy!